A lot can happen in a decade. When Big Sister Jessica and Little Sister Kianna first met, Little Sister Kianna was just a regular seven-year-old while Big Sister Jessica had yet to meet her future husband. Now, Jessica is helping her Little Sister visit colleges and apply for scholarships, while Kianna has seen Jessica get married and have two children. There have been many lessons that they have learned during the 10-year match, but above all they know through all life transitions, they must not give up on each other. “Life gets complicated and busy, changes happen, but it makes my and Kianna’s relationship that much more worth it,” said Big Sister Jessica. Their bond is one that grew thanks to open dialogue and a willingness to discuss questions that may be uncomfortable. Being there for Kianna at an early stage in her life, Jessica has been able to guide her through all of the challenges of growing up. Kianna has grown to be a studious, instinctual and insightful young lady. She sees the value in hard work and believes that it will pay off for her. She is accepting of those who are different from her and she sees the value in different points of view. When talking about their friendship, Big Sister Jessica said, “Kianna is the friend who helped me relive my childhood. She reminds me what it was like to be a kid and to enjoy mixing all of the colors into one snow cone because it looked pretty and tasted pretty good, too.” Kianna has also helped Jessica become the mother she is today. Jessica credits her patience, empathy, creativity and awareness to Kianna and their friendship. 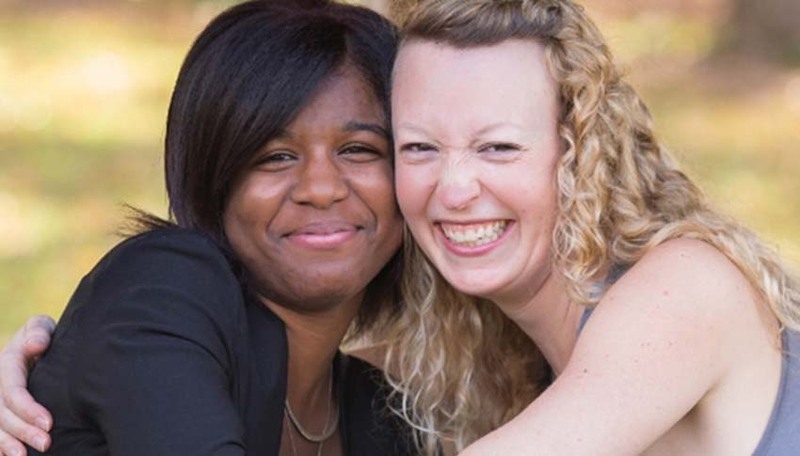 Jessica watched as Kianna walked across the stage at her elementary school graduation ceremony, she visited her right before her Junior Prom, and she recently toured college campuses to help Kianna decide where she wanted to apply. Although college is around the corner, they are both certain that nothing will change. They agree that they will still see each other, even saying that it will give them something to look forward to. “Being matched for 10 years, we still learn something new about each other every time we meet. Jessica has helped me become a young lady with plans for the future, and because of her I am ready,” said Little Sister Kianna.